Welcome to Jacobi-Lewis Co., show-casing the leading manufacturers in the food service industry. Our relationship with some of these manufacturers spans more than half a century. Remember that this is a fast-paced, ever-changing business. We at Jacobi-Lewis Company pride ourselves on remaining current on the many new products and directions our industry is taking. 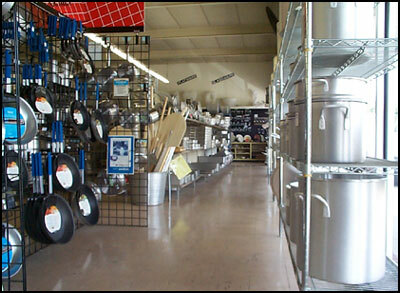 Our items are kept in inventory to avoid inconveniencing you with long lead times and back-orders. Should you need an item not discussed on this site, please give us a call at either our Greensboro or Wilmington locations. It is the people who make a company successful. Our well-equipped showrooms are staffed by knowledgeable, courteous professionals who will be glad to assist you with your selections. Should you need consulting at your location, our outside sales-people are available to assist you at your place of business (in most areas). Additionally, our experienced design department is outfitted with the latest CAD (Computer Aided Design) equipment to help with your project; whether it is a remodel or a new facility. From office personnel to equipment installers, to delivery personnel, we'll get the job done. As always, we are proud of our continuing association with NAFED (National Association of Food Equipment Dealers), one of the industry' s largest multi-million-dollar buying groups. This affiliation translates into large-volume discounts from the manufacturers, which are passed on to you the customer. If you have been a customer in the past, we appreciate your patronage, past and future. If you are a new customer, give us a chance to prove ourselves. You won' t be disappointed.